Los Gatos Roofing is dedicated to providing our customers with the absolute finest quality of work by continuously innovating and providing superior roofing craftsmanship while staying on the leading edge of roofing expertise. Los Gatos Roofing will always be an organization that develops expert roofing consultants and superior craftsmen who will provide confidence and peace of mind to every homeowner we come across. 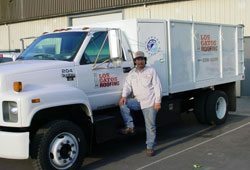 Customers – Gaining a reputation for being honest, timely and respectful as well as providing the southern Bay Area with superior service quality. Co-Workers – To provide an environment that encourages personal growth and provides all workers with the opportunity to accomplish their professional goals.